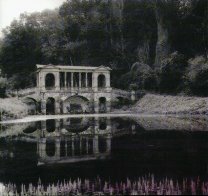 Opeth have really managed to forge their own identity in this, the often derivative world of heavy metal. Their incorporation of progressive and death metal, as well as a tasteful utilization of acoustic passages, has made them a formidable creative force. Although Opeth is basically a Swedish death metal band, I would hesitate to describe them as such. Their extensive use of acoustic guitars and varying tempos is commendable and gives the album a unique and refreshing flavor. 'Progressive Death' would proabably be a more appropriate label. Morningrise has a total of 5 songs but the album is very long. The long songs often provide for greater depth and a more immersive atmosphere. The vocals are generally of in the typical death style, with some excellent clean vocals thrown in here and there. The clean vocals sound suspiciously similar to Dan Swano's clean voice, which is interesting considering that he did produce the album, but is not credited for any vocals. The memorable guitar melodies, and the acoustic/electric interplay are probably the best part of the album. The band seems to effortlessly shift from contemplative acoustic passages to all-out, intense, double-bass fueled death metal. A powerful, and definently worthwhile melodic death metal album. A must-have for fans of the genre.